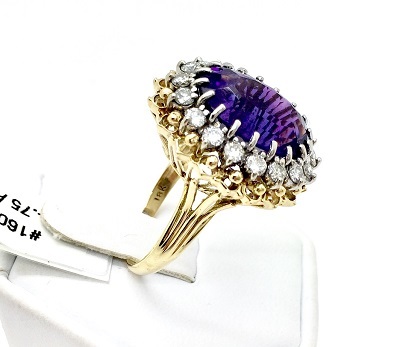 Amethyst and Diamonds 18K Gold Ring. 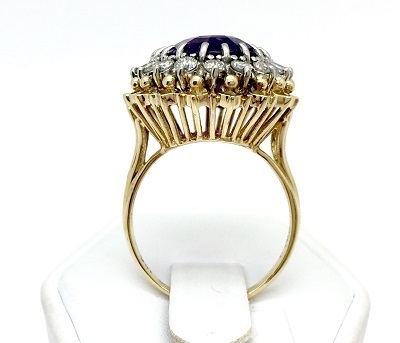 .75 carat diamonds, 7.5 carat amethyst. 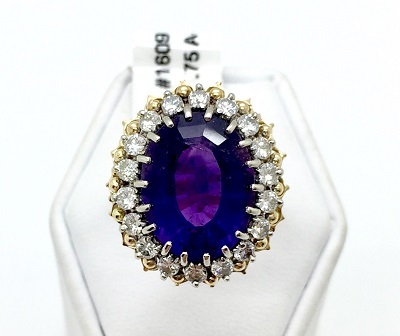 We buy, sell and trade estate amethyst jewelry. Price on Request.